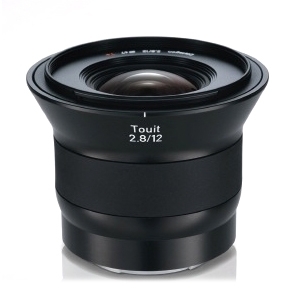 ept2016-lenses-zeiss With an angle of view of 99 degrees, the Touit 2.8/12 wide-angle lens will soon become a firm favourite, particularly for landscapes and architectural photography. Its unique T* multicoating guarantees maximum transmission and outstanding absorption of extraneous light. The result: breathtaking image quality from edge to edge and corner to corner of the entire image field. What�s more, all moving parts of the Touit 2.8/12, conceived specifically for Sony NEX and Fujifilm X Series cameras, are engineered for extreme precision and a long working life. And finally, its strong and rigid metal bayonet mount makes it an absolutely dependable companion for many years to come. Focusing range: 0,18 m (0.59 ft) � ?